The son of the owner of Prestige Limousine was charged with criminally negligent homicide in connection with the deadly limousine crash that killed 20 in upstate New York Saturday. Police said 28-year-old Nauman Hussain was taken into police custody following a traffic stop on I-787 Wednesday. Nauman Hussain, son of owner Shahad Hussein, handled day-to-day operations for his father, who was out of the country. A relaxing Saturday afternoon turned into chaos when a limo driving on a rural road in upstate New York ran through a stop sign at the bottom of a T-intersection, went across the road and hit an unoccupied vehicle parked at the Apple Barrel Country Store, killing two pedestrians and all 18 people in the limo celebrating a woman's birthday. The driver was among the dead. The collision happened in Schoharie, 25 miles west of Albany, which is a popular spot with tourists taking in the fall foliage. Witnesses reporting bodies on the ground and broken tree limbs everywhere. 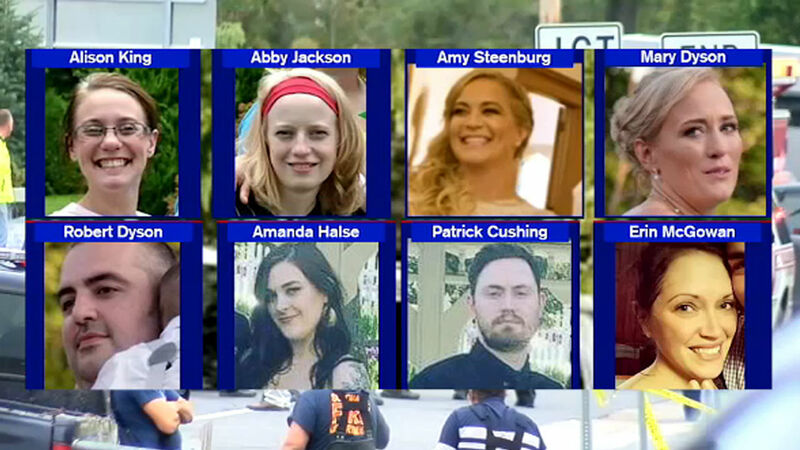 Among the victims were newlyweds, young parents, four sisters and their friends. Reports show that the limousine had failed a safety inspection last month in part because of a brake malfunction, ABC News reports. Inspection records reviewed by ABC News show that the vehicle received a violation for "ABS malfunction indicators for hydraulic brake system." State transportation officials declined to immediately elaborate. The inspection record shows six violations from the limousine's September 4 inspection, including a violation for "failure to correct defects noted on the previous inspection report." Prestige Limousine, which owns the vehicle, had 22 violations in the past two years, and New York State has moved to shut down the owner, Prestige Limousine. Not only did the limo fail a safety inspection, but the driver wasn't properly licensed, New York Gov. Andrew Cuomo said Monday. "In my opinion, the owner of this company had no business putting a failed vehicle on the road," the governor said while attending a Columbus Day Parade in New York City. "Prestige has a lot of questions to answer." The crash came three years after another deadly stretch-limo wreck in New York state spurred calls for Cuomo to examine such vehicles' safety. It was not clear whether the state took any steps to do so. Cuomo on deadly limo crash: "The owner of the company had no business putting a failed vehicle on the road." "We understand what the governor is saying, what the DOT is saying, certainly it is in their interests to point away from any failures on behalf of the state. But as we understand right now, the inspections last month were minor things, windshield wipers, a latch on a windshield that needed to be fixed. And all of those things were fixed and so one of the questions we are trying to help answer is any of those safety problems could have contributed to the crash. We want to make everybody know right now we are doing everything we can to answer those questions, along with the state." In response to the GMA appearance, the New York State Department of Transportation released a statement, saying that these claims are outright false. "The assertion that the limousine was cleared to be on the road following the September inspection is categorically false. The vehicle was subject to inspections and the owner was warned not to operate the vehicle; the vehicle was placed out of service," the statement read. Scott Lisinicchia, the driver in the deadly upstate New York limo crash that killed 20 Saturday, was pulled over in the same limo on August 25 on Weibel Avenue in Saratoga Springs, where state police determined he did not have the proper license to drive it. Police also notified Lisinicchia's employer, Prestige Limousine, that he "could not operate the vehicle without additional licensure." The police also took steps to ensure that the vehicle was taken off the road, returned to its original location and directed the driver not to drive the vehicle." The notification was made with Nauman Hussain, the son of the owner of Prestige Limo. Nauman Hussain was also informed that the vehicle was not properly registered with the U.S. Department of Transportation. Lisinicchia's family also spoke out after the crash, saying they believe his employer gave him an unsafe vehicle to drive. The Lisinicchia family is devastated by the horrific tragedy that occurred in Schoharie and their prayers go out to all the families that lost loved ones. They are mourning their husband, father and brother, and they are also grieving for the other innocent souls who lost their lives. Mrs. Lisinicchia's husband Scott was a loving and caring man who never would have knowingly put others in harm's way. The family believes that unbeknownst to him he was provided with a vehicle that was neither roadworthy nor safe for any of its occupants. We ask all members of the media and public to reserve judgment on the cause of the crash until the New York State Police and the National Transportation Safety Board complete their investigations. Both agencies include some of the most highly skilled and well-trained accident investigators in the country. We also ask that you respect the family's privacy at this most difficult time. The 19-seat vehicle had at least some seat belts, but it was unclear whether anyone was wearing them, National Transportation Safety Board Chairman Robert Sumwalt said. The cause of the accident is still under investigation. It is not yet known if it was caused by a vehicle malfunction, operator error or some other factor. Investigators have yet to determine whether the driver tried to brake. The wreck left no skid marks investigators could see, but that might be due to misty weather or anti-lock brakes, Sumwalt said. Investigators were conducting autopsies, including on the driver, to see if drugs or alcohol were factors, and the NTSB was also looking into whether the limo had any mechanical problems. Police seized three additional vehicles from the limo company as part of the ongoing criminal investigation. ABC News also reported Monday that the registered owner of the limousine that crashed over the weekend was once an FBI informant. Shahed Hussain testified as part of two terrorism cases, including a 2009 sting operation that disrupted an alleged plot to bomb a Bronx synagogue. The other case was out of Albany and involved terrorism financing. Hussain became an informant in 2002 after he was arrested on fraud charges while working for the state DMV. He was caught helping immigrants cheat on driver's tests and cooperated with the FBI in order to avoid deportation to Pakistan, ABC News reported. It is believed Hussain has in recent years gone back to Pakistan, leaving his sons to run the company. The community came together Monday night to mourn and honor the victim killed in the crash outside a country store in Schoharie. Witnesses, neighbors and family members of the victims were left grieving and trying to piece it all together. The crash "sounded like an explosion," said Linda Riley, of nearby Schenectady, who was on a shopping trip with her sisters and had been in their parked car at the time at the store. When she got out of her vehicle, she saw a body on the ground, she said. People started screaming. The store manager, Jessica Kirby, told The New York Times that the limo was coming down a hill at "probably over 60 mph." In a Facebook post on Saturday, the store thanked emergency responders for their actions. The store posted Sunday that it was open "and could use your hugs." The sister of one victim, Amanda Halse, said she was killed with her boyfriend, Patrick Cushing. "My sister was someone who was very spontaneous and just liked to have a lot of fun," said Karina Halse, victim's sister. "She was just a great human being all around. She just wanted to make sure everyone was happy. She was the best sister I ever could have had in my life, I'm so grateful that I had her and I will cherish her memory forever." 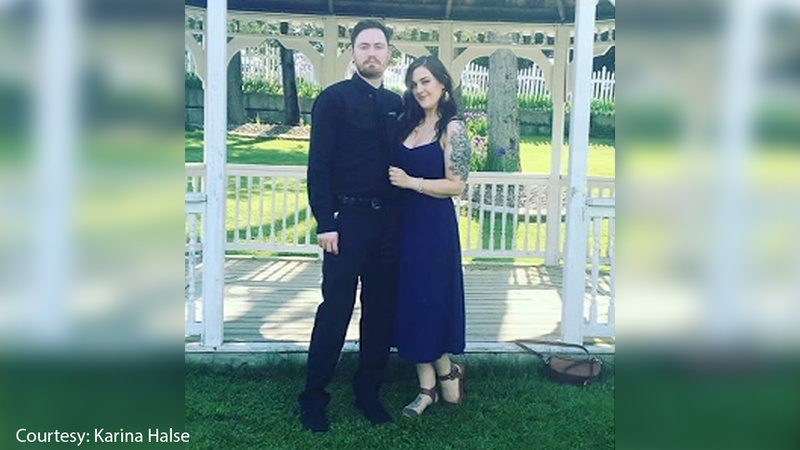 Speaking through tears, Valerie Abeling, said her niece Erin Vertucci was among the victims, with her newlywed husband, Shane McGowan, and were on their way to the birthday party of a friend when the crash occurred. She said her own daughter had been invited along but couldn't go. "She was a beautiful, sweet soul; he was too," Abeling said. 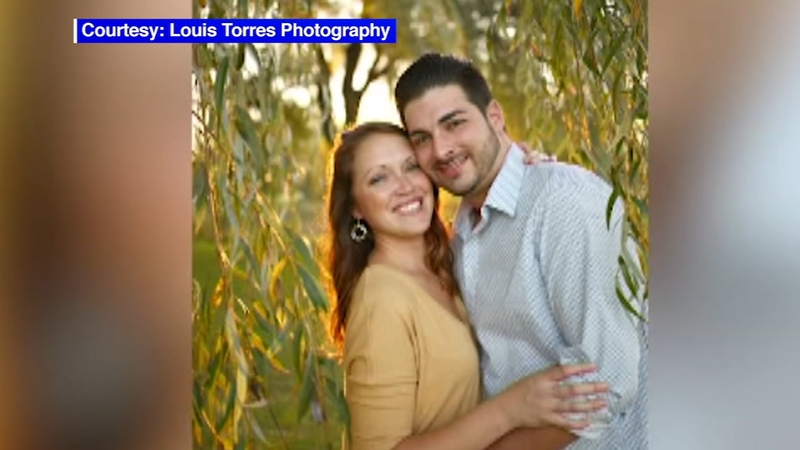 She said the couple was married at a "beautiful wedding" in June at a venue in upstate New York. "They had everything going for them." Vertucci was 34, McGowan 30. They met through Abeling's daughter. Vertucci, who grew up in Amsterdam, New York, was an administrative assistant at St. Mary's Healthcare in Amsterdam. "This is one of the biggest losses of life that we've seen in a long, long time," Sumwalt said, the deadliest since February 2009 when Colgan Air Flight 3407 crashed in Buffalo, New York, killing 50 people. Safety issues on such vehicles have arisen before, most notably after the wreck on Long Island in July 2015 in which four women on a winery tour were killed. They were in a Lincoln Town Car that had been cut apart and rebuilt in a stretch configuration to accommodate more passengers. The limousine was trying to make a U-turn and was struck by a pickup. A grand jury found that vehicles converted into stretch limousines often don't have safety measures including side-impact air bags, reinforced rollover protection bars and accessible emergency exits. That grand jury called on New York Gov. Andrew Cuomo to assemble a task force on limousine safety. Limousines built in factories are already required to meet stringent safety regulations, but when cars are converted into limos, safety features are sometimes removed, leading to gaps in safety protocols, the grand jury wrote.